Time has run out for 25-year-old Australian drug trafficker Nguyen Tuong Van, who has been executed at Singapore's Changi prison. His death sentence sparked widespread criticism in Australia. The Canberra government repeatedly pleaded for clemency, as did lawyers, trade unions and church groups. But Singapore remained unmoved, and insisted that the hanging would go ahead as planned. 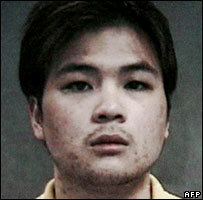 Nguyen was arrested carrying almost 400 grams (14 ounces) of heroin at Singapore's Changi airport in late 2002. He said he was trying to smuggle the drugs from Cambodia to Australia to pay off the legal bills incurred by his twin brother, a one-time heroin addict. The Australian government believed Nguyen should not face the gallows because he had no previous criminal convictions. It also argued that he could help investigations into drug syndicates if allowed to live. But in a letter to his Australian counterpart, the Speaker of the Singapore Parliament, Abdullah Tarmugi, said there was no room for compromise. "We have an obligation to protect the lives of those who could be ruined by the drugs Nguyen was carrying," he wrote. "He knew what he was doing and the consequences of his actions." According to Amnesty International, about 420 people have been hanged in Singapore since 1991, mostly for drugs offences. If these figures are correct, they would give the prosperous city-state of 4.2 million people the highest execution rate in the world, relative to its population. At the weekend Australian Prime Minister John Howard made his fifth personal plea to the Singaporean leadership, during the Commonwealth Heads of Government Meeting in Malta. Mr Howard warned that Singapore should prepare for "lingering resentment" in Australia if the execution went ahead. He has, however, rejected calls for boycotts of Singaporean companies, as well as trade and military sanctions with one of Australia's closest Asian allies. "I believe John Howard has done as much as he could do," said Gerard Henderson, from the conservative think-tank The Sydney Institute. "Listening to talk-back radio, there are some people who think that heroin smugglers deserve the death penalty, but I believe that the majority of Australians hold a different view," Mr Henderson told the BBC News website. Nguyen was born in a refugee camp in Thailand in 1980, after his mother fled from Vietnam. The family eventually settled in Melbourne. Several last-ditch efforts to save him were suggested, including taking Singapore to the International Court of Justice or arranging a prisoner swap. But Simon Rice, a lecturer at Macquarie University in Sydney, said that Singapore was not a signatory to international human rights covenants. "[Nguyen's] execution is a seriously tragic reminder of how far short we are of a global commitment to human rights," Mr Rice told the BBC. Some church leaders have called on Australians to observe a minute's silence for Nguyen on Friday, but overall opinion remains mixed. 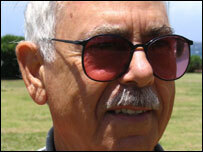 "No-one has the right to take the life of someone else," John Karousos, a 66-year-old retiree in Sydney, told the BBC. "It doesn't matter what he's done or his mistakes. The death penalty is unacceptable." But Gilly Parminter, a 40-year-old mother, was less sympathetic. "Personally I think if you go into a country you have to abide by their laws, and you have to live with the consequences." The last Australian to be executed overseas was Michael McAuliffe. The barman from Sydney was hanged in Malaysia in June 1993, after serving eight years in prison for heroin trafficking. In 1986 two Australian citizens, Kevin Barlow and Brian Chambers, were also hanged in Malaysia after being convicted of drug smuggling.